Medical billing and coding programs are designed to equip students with the knowledge and skills required to manage billing for medical offices. Learners in these programs get to know how to take care of patient billing, medical insurance billing, and other related tasks. Medical billing and coding programs are offered at the associate as well as the bachelor's levels. These programs help students acquire comprehensive training for this multifaceted field and entails technical processes and administrative courses. Medical billing programs provide students instruction in an array of courses such as medical reimbursement, business communications, check-in procedures and patient discharge. Students also learn to file insurance claims, manage compliance issues and computerized record keeping. Some of the courses students can opt for while enrolled in a medical billing and coding degree program include health information technology, computer applications, and health reimbursement & legal issues. Students also cover topics such as medical records and documentation, communications for healthcare professionals and related subjects. Join the booming healthcare industry with a medical billing and coding degree. Medical billing and coding degrees also entail externships in hospitals or medical offices, where students get a chance to have a hands-on experience that is essential for being able to work in this field. A high school degree or equivalent is required for being considered for admission into a degree program in medical billing and coding. Other requirements for admission may vary by school. Graduates of the medical billing and coding degrees can compete for entry-level billing and coding jobs in insurance firms, medical offices, and government agencies. An advanced degree can prepare these professionals for senior level positions within this field. The job location, experience and qualification include some of the factors that determine the income of medical billers. The US Bureau of Labor Statistics reports that billing and posting clerks that includes medical billers, earned an annual median wage of $34,410 in May 2014. 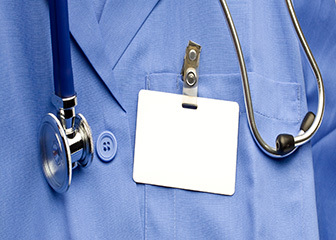 Distance learning schools also offer degrees in medical billing and coding. These programs are based on a lot of flexibility and allow learners to pursue a degree from any location. As the online degrees are self-paced, learners can complete a program at their own convenience. This is why these programs can be great for working professionals seeking to switch careers. Online programs are also more affordable than regular degrees in medical billing and coding. A number of learning technologies are used in the online degree programs that help aspiring medical billers and coders acquire the skills required to pursue this career. Students get to use emails, chat forums, video conferences and online libraries to participate in online classes, prepare assignments and communicate with instructors and classmates. Q:What are medical billing and coding degree requirements? A:To complete a medical billing and coding degree, there are certain courses that you will be required to clear. These could include reimbursement methodologies, medical coding, medical terminology, diseases of the human body, medical insurance and billing, human anatomy and physiology and so on. This degree will expose you to practical experience in medical billing, coding and administrative functions in a classroom setting or an offsite internship program. Q:Can you give me some detail about a bachelor degree in medical billing and coding tuition rates? A:The tuition fee for bachelor degrees in medical coding and billing will vary from school to school. You can find out about the tuition rates and admission fees online. You can also pay a visit to schools and get detailed information. Many schools also financial aid programs to students who are unable to pay for their college education. Q:How long before I complete my education and gradiuate from a medical billing and coding schools in Orlando? A:The time duration to clear out from medical billing and coding schools in Orlando depend on the degree you wish to pursue. Students can get enrolled in the one year certificate program, two year associate's degree, or the four year undergraduate program which can be followed by two additional years at graduate level. The chosen degree will determine the time an individual will need to graduate from the school. Q:Can you please tell me more of the course on Ethical & Legal Issues in the Medical Billing and Coding schools in Charlotte NC? A:The Medical Billing and Coding Schools in Charlotte NC have a specialist course on Ethical & Legal Issues. This course is worth 4 credits in total. It is designed to offer the students with ample understanding of the ways in which the rights and the responsibilities of healthcare workers as well as patients are fulfilled in the most apt of manners. Q:What is taught in the Insurance Claims course of the best Billing and Coding schools? A:The best Billing and Coding schools in United States have dedicated courses on Insurance Claims. This course is worth 4 credits in total. Some of the major areas of study in the course are understanding the new patients and interviewing them. The course also revolves around making the post clinic check outs and methods of computerized practice. Q:What are the names of some of the billing and coding schools in Georgia? A:Some of the institutions offering qualifications in billing and coding in the state of Georgia are Grand Canyon University,Lincoln College of Technology, Virginia College and Miller-Motte Technical College. For more information, prospective students are requested to search our website for an extensive list of institutions in Georgia offering this course. Q:Searching for medical billing and coding schools in Georgia, I came across the option of distance learning. What are the advantages of online education? A:If students can't find any medical billing and coding schools where they live in Georgia, online education is an excellent option. It provides students an opportunity to study at their own convenience without rushing through the course to meet deadlines. With a comprehensive syllabus, every aspect of the subject is covered in detail. Prospective students are requested to search our website for a list of online institutions offering this course. Q:What is included in the course pack at some of the best Medical Billing and Coding Training FL schools? A:Some of the very finest and top of the line Medical Billing and Coding Training FL schools include a course pack, which has complete medical billing textbook and study guides, open book and online exams, guides for time management and career counseling, finest guidance by dedicated instructors, unlimited tutoring, as well as invitations to events and counseling sessions with career experts to help you with your future endeavors. Q:Name the certification exam students become eligible for after completion of Online Medical Billing and Coding Degrees? A:After completion of Online Medical Billing and Coding Degrees, students become eligible to appear in the Certified Billing and Coding Specialist (CBCS) certification exam. The certification exam is conducted by the National Healthcare Association (NHA). After clearing this exam, students can become certified billing and coding specialists and join the professional field of healthcare.